Luxury New Zealand kayak tours offer the best of all worlds: wild scenery, adventure, premium service, and luxury amenities. With Black Label Experience tours, organise your own high-end self-drive South Island itinerary. Beginning in Blenheim, take a private tour and enjoy exclusive cellar door tastings at world-famous Marlborough wineries such as Cloudy Bay and Mount Riley Wines. Spend a luxurious night in a heritage bed & breakfast, then tee off at the prestigious Marlborough Golf Club, one of New Zealand’s oldest courses. Drive to Havelock the next day, sleep at cosy Blue Moon Lodge, and take a relaxed kayaking tour on the Pelorus river with your own personal guide. Start with an unforgettable scenic helicopter ride over the golden beaches, lush forests, and translucent waters of Abel Tasman National Park on your way to luxurious Awaroa Lodge. Enjoy the fine dining and refined comfort of this secluded oasis, then begin the 7-day Luxury Kayak Tour operated by Abel Tasman Kayaks. This amazing tour includes your own private chef preparing exquisite seafood dinners and three exclusive days at untouched and unpopulated D’Urville Island. 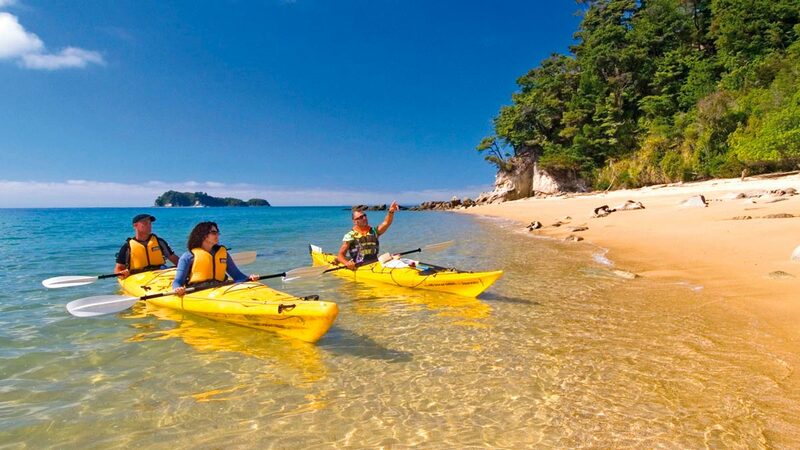 Undoubtedly one of the best kayaking locations in New Zealand, the subtropical Bay of Islands has countless coves, remote beaches, and isolated inlets to explore across a hundred different islands. On The Comfort Kayaking tour you get to kayak through tunnels, go snorkelling on a white-sand beach, and try to spot wild kiwis. 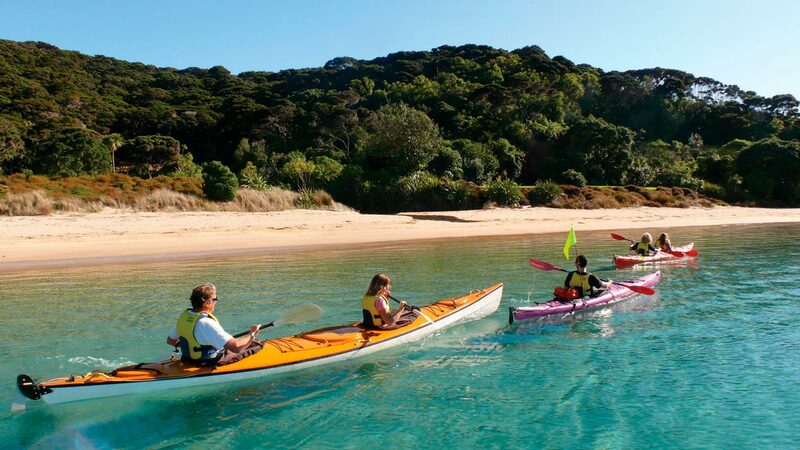 With your own private guide, you can kayak around Moturoa Island and paddle out to Cape Wiwiki. At the end of the day, enjoy an evening aperitif and gourmet meal from your own personal chef, a hot shower, and a good night’s sleep in an elegant private beachside cottage. The 22-day luxury New Zealand helicopter tour packs multiple experiences of a lifetime into one elegant package. 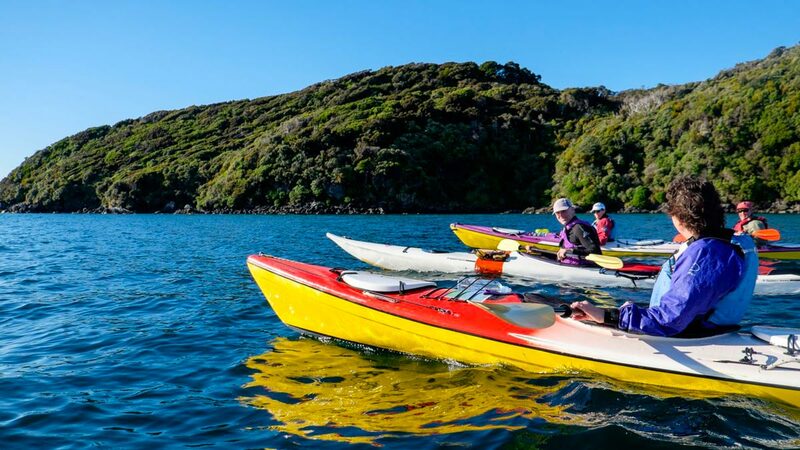 A yacht around the Bay of Islands, helicopter up Fox Glacier, guided Milford Track hike, private Lake Taupo fishing charter, and a luxury Stewart Island kayak adventure are just a few items on this amazing itinerary. All along the way you’ll stay in famous luxury accommodations like Huka Lodge on Lake Taupo and the Alpine Chalet in the Buchanan Mountain Range. You also get to enjoy a gourmet breakfast every morning and a daily 3-course meal prepared by your own private chef. Perfect for foodies, this tour also includes a private cooking class and privately guided wine tours around Central Otago and Hawke’s Bay. 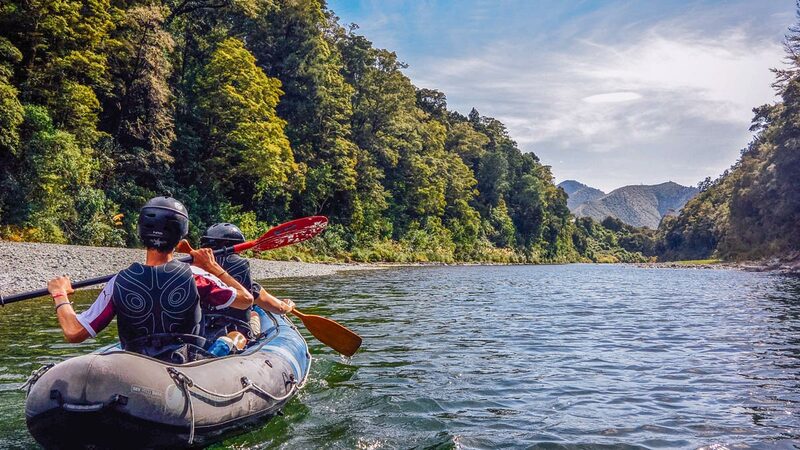 Pelorus Eco Adventures is a dynamic New Zealand kayaking company that offers fully guided kayak tours on the beautiful Pelorus River in Havelock for all ages and experience levels. Echa un vistazo a lo que otros viajeros dicen acerca de Nueva Zelanda en TripAdvisor. Tu navegador ya no es compatible. Actualízalo para disfrutar totalmente del sitio.